Odenthal Yamaha 3rd Bearing Mount for Yamaha KT100 motors. TruSpeed Comer C50/51 Engine Mount. This C51 motor mount is designed to be used with our Wildcat kit kart. It is manufactured from billet aluminum and has a bright red anodized finish. This mount is designed to accept the JEX chain guard and riser plate if needed. TruSpeed Comer C50/51 Engine Mount and Clamp. This C51 motor mount is designed to be used with our Wildcat kit kart. It is manufactured from billet aluminum and has a bright red anodized finish. 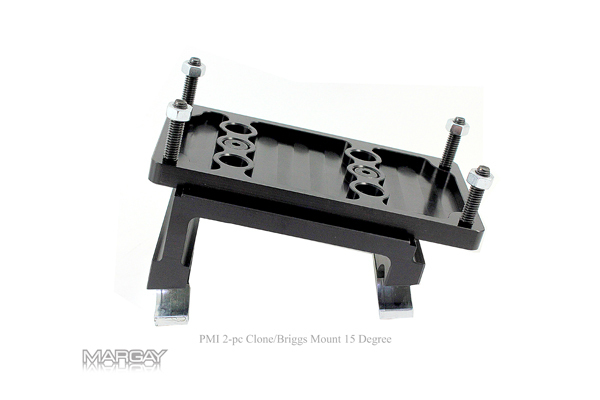 This mount is designed to accept the JEX chain guard and riser plate if needed. TruSpeed Comer C50/51 Engine Mount Clamp. This C51 motor mount clamp is designed to be used with our Wildcat kit kart. It is manufactured from billet aluminum and has a bright red anodized finish. Odenthal 2-pc EZ Mount Leopard /X30. Motor mount designed and built to fit the IAME Leopard X30 motor.